Several Chair members participated in the Annual Meeting of the Southern Political Science Association, which took place in Austin (TX) in January 2019. 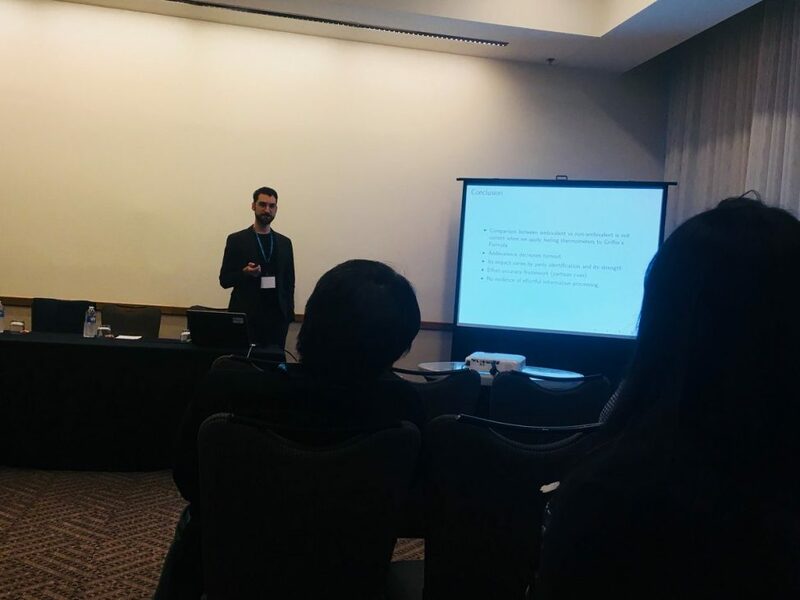 Semih Çakir presented a paper on the role of ambivalence on electoral participation, and Alexandra Jabbour presented co-authored work (with Jean-François Daoust) on the role of long-term factors on the vote choice in Quebec. 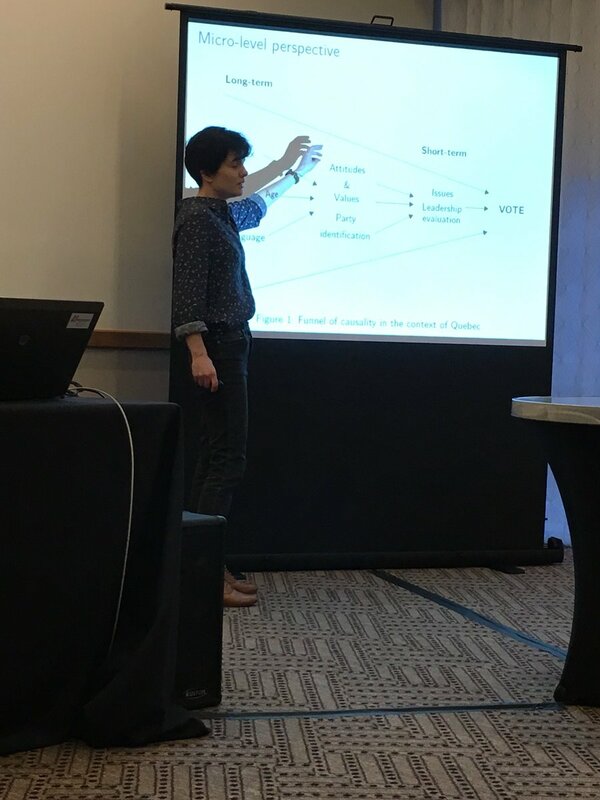 Ruth presented a paper on the ideological gender gap, and Ruth and Alexandra also presented co-authored work with Michael S. Lewis-Beck on the determinants of satisfaction with democracy in Europe. Upper picture: Semih presenting his paper. Lower picture: Alexandra presenting her work (picture credit: Semih Çakir). This content has been updated on 23 January 2019 at 15 h 32 min.